We are happy to announce our 2nd annual collaboration with Music Niagara! This year we are presenting the Joe Trio. 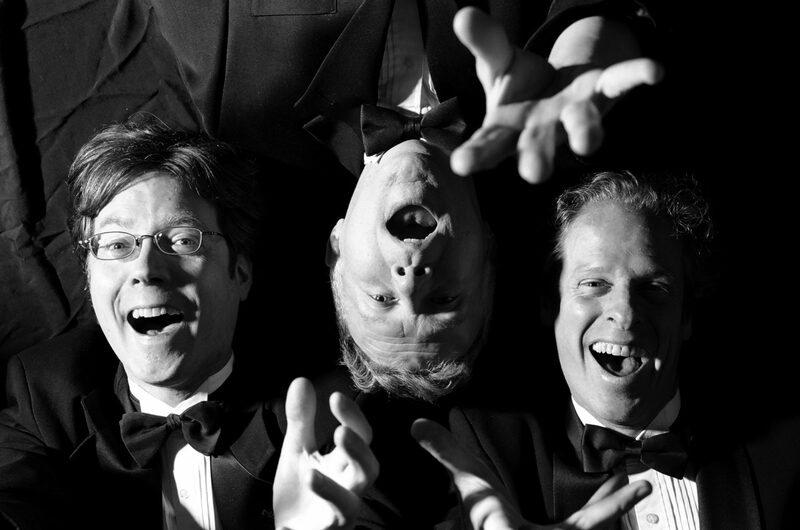 With an air of comedy, the Joe Trio has been delighting audiences across the globe since 1989. This trio is not afraid to mix styles in unpredictable, humorous, and captivating ways. The Joe Trio presents a well-chosen mix of jazz and classical music which is a perfect fit for this co-production in the idyllic setting of the Niagara vineyard, Pondview Estates Winery. Joe Trio is not your average piano trio. They don’t want to be neatly categorized, but instead strive for diversity, versatility, and more than a little humour and unpredictability. Their repertoire consists of the classics – from Papa Haydn to Uncle Shostakovich, new works by contemporary composers, and their own arrangements of popular, jazz and rock tunes. And they’re not afraid to mix together so many styles of music into a single piece it makes your head spin. More than virtuosi, the Trio’s members are fantastic performers who engage the audience in a way few classical musicians can. Amply witty, charming, and tremendously musical, Joe Trio leaves audiences with a new appreciation for classical music.